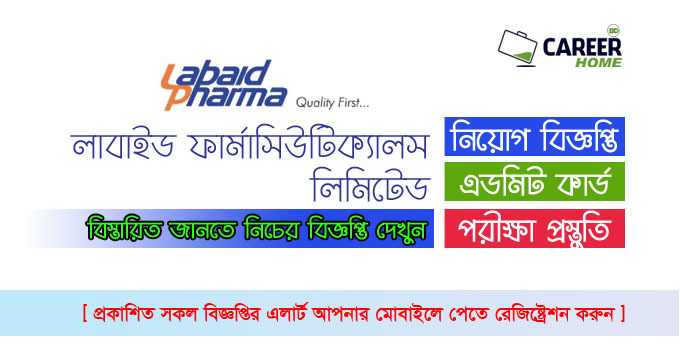 Labaid Pharmaceuticals Limited Job Circular 2019 has been published in the daily online newspaper for the jobs seekers and to get form all of the necessary information with job circular image, published date, application deadline, salary, applying process etc from CHomeBD.Com. We would like to inform you that, the Labaid Pharmaceuticals Limited is a most popular Pharmaceuticals company under Labaid Company. 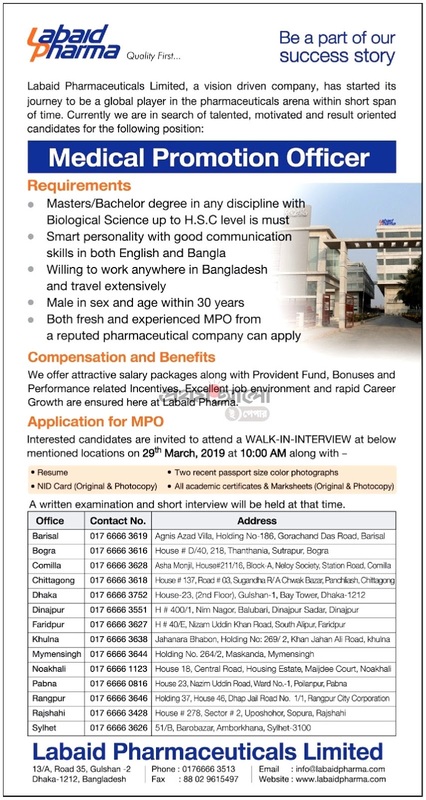 If you are interested private Drugs company jobs in Bangladesh, you can check this one by given the best job circular. 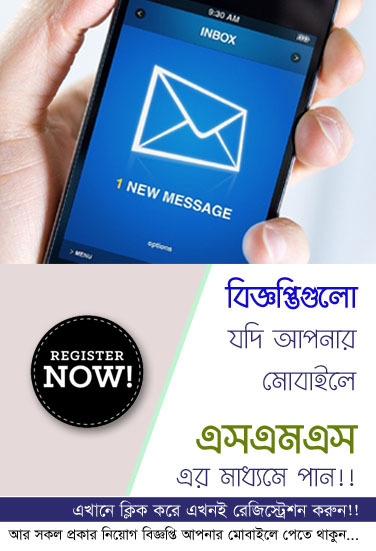 If you are right candidate for this job please submit your application by maintain applying process.